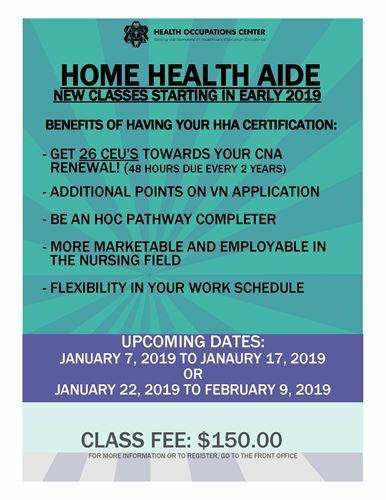 Registration for spring 2019 Home Health Aide classes is now open. You may register at The Health Occupations Center office. The knowledge of a CNA’s role in home health is crucial to their career. This course supports students in learning to use their CNA skills in the home environment. Must be a Certified Nurse Assistant (CNA). No high school diploma or equivalent required for this class.